William B. Eerdmans Publishing Company, 9780802873736, 201pp. After Laura Everett's car died on the highway one rainy night, she made the utterly practical decision to start riding her bicycle to work through the streets of Boston. Seven years later, she's never looked back. 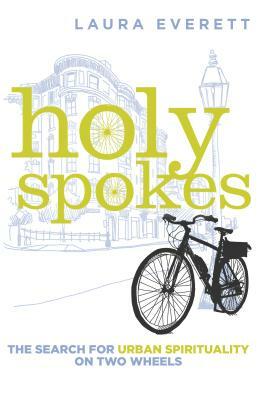 Holy Spokes tells the story of Everett's unlikely conversion to urban cycling. As she pedaled her way into a new way of life, Everett discovered that her year-round bicycle commuting wasn't just benefiting her body, her wallet, and her environment. It was enriching her soul. Ride along with Everett through Holy Spokes as she explores the history of cycling, makes friends with a diverse and joyful community of fellow cyclists, gets up close and personal with the city she loves--and begins to develop a deep, robust, and distinctly urban spirituality. Laura Everett is a dedicated urbanist, a pastor in the United Church of Christ, and a four-season bicycle commuter in her adopted city of Boston. She serves as the executive director of the Massachusetts Council of Churches.